Is the quintessence of the best and most popular massage techniques used in Europe. With smooth and gentle gliding movements, it relaxes whole body. Recommended for people struggling with daily stress and tension, as well as to those who participate in demanding exercises. A massage that focuses on the deeper muscles and body tissues, to relieve discomfort and to promote healing. This technique uses slow movements combined with deep pressure, to release specific muscle tension and enhance body flexibility. It targets chronic pain and muscle tension. Often recommended for individuals recovering from injuries. Two massage therapist, four hands. Double the pleasure and relaxation. Two techniques can be combined. For those who feel like experiencing something more. Our signature light- strong combination treatment blends what's the best of the Deep Tissue and Swedish Massage. It helps to relieve specific muscle tension, but also provides general relaxation. Leaves you body tension free as well as relaxed and balanced. It's a facial for your body. 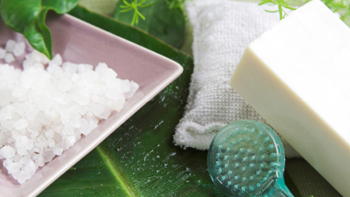 Aromatic and gentle, this delightful body treatment brings back your skin's natural radiance. We are using mixture of exfoliating sea salt to stimulate and remove dead skin cells, toxins and impurities, while essential oils make your skin smooth and wonderfully nourished. Our special body polish leaves your entire body healthy, revitalized with visible brighter skin. 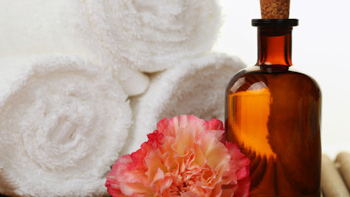 Our most blissful treatment provides a gentle exfoliation combined with an hour long massage therapy of your choice. Foot massage, also known as a reflexology, is a relaxing therapy that works on many levels to soothe, calm, balance and boost you entire body. It applies therapeutic pressure to specific points on the soles of the feet, to maintain physical, mental and emotional health. Promoting a state of total relaxation, it stimulates energy flow throughout the body, strengthens the immune system by improving blood flow and encourages hormonal balancing. Indulge yourself with the most sensual of our treatments. This holistic treatment combines the therapeutic qualities of oriental aromatic essential oils extracted from aromatic flowers and herbs to enhance health and beauty, to create a feeling of physical relaxation and calm, all whilst strengthening the body’s vital energy so you emerge with a renewed spirit and clear the mind. This healing massage provides you general relaxation, calms the mind, improves circulation, improves lymph drainage, and relieves muscle tension. LeMassage Place Aromatherapy is ideal for complete physical and mental stress recovery as it will restore vitality and will enhance your well-being. We call it our Quick Break Massage. It is a half an hour of focused attention, aimed at the points in your body that need the most attention: from the neck and shoulders, to your feet, back , etc. 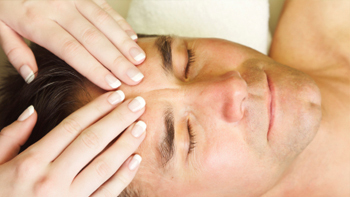 This treatment is ideal to help you relieve stiffness and stress, especially when your time is limited.